Australia is a country of sunshine. Most of locations gets more than 2,000 hours of sunshine each year, with Perth as the sunniest major city with about 3,200 hours of sunshine annually. Even the winters are sunnier compared to other parts of the world. That’s why it’s a wise idea for Australians to take advantage of solar power and install solar panels for electricity and solar hot water systems. Not only will you be able to save money on your utility bills, you’ll also be lowering your carbon footprint and helping Mother Nature. Some people choose to DIY the installation of their solar panels and solar hot water systems, but it’s always better to leave these jobs to the electricians and plumbers. In particular, solar hot water systems require more than just the installation of a solar panel on your roof and connecting it to a battery or a generator. Why? Solar hot water systems use a different technology. It doesn’t use light from the sun, but rather the heat from the sun. There are pipes filled with water that run through the panels; when the water gets heated enough, it flows to a storage tank placed either on the roof or the side of your house. This is just one reason why you need to call your local plumber for assistance in installing (or repairing) your solar hot water system. They know where to place the solar panels to get the maximum amount of sun based on your location, so you can maximize the potential savings of this kind of hot water system. Your local plumbers, of course, will also ensure that the pipes and the electrical or gas booster are connected properly. Boosters are used to supplement the solar hot water system during days with shorter sunlight hours or during cloudy weather. You should also hire a local plumber to install or repair your solar hot water system so that you will get the most accurate costing. They know the most current rates in your area, so you know that you will be offered a competitive price. What’s more, they will be able to arrive that much quicker because they are nearer. This is an important factor in cases of an emergency. Have you finally decided to switch to a solar hot water system? Do you need to have your solar hot water system repaired or inspected? 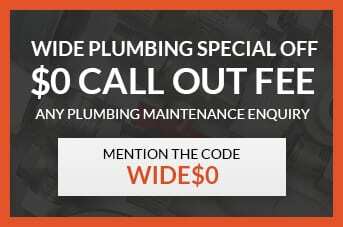 Call the Wide Plumbing Services hotline at 0419 012 750 or send us an email at centralwideservices@gmail.com. Our friendly customer service staff will be more than happy to answer your questions, and our team of licensed and highly skilled plumbers can get to your Central Coast location quickly to deliver reliable and high-quality plumbing services. The rate of Central Coast plumbers for hot water systems installation is about to for a fixed rate and to for a per hour rate. This is regardless of the size of the hot water tank. The price may change depending on the amount of materials (such as pipes) that are going to be used, so make sure to clarify this with your local plumber. For repairs and replacements, on the other hand, you may be charged an average of to for a fixed rate or about to per hour. Most local plumbers also sell solar hot water systems, and buying from them is good way to further save on costs. In addition to the eventual savings on your water and electricity bill, investing on a solar hot water system is wise move indeed. Wide Plumbing Services not only guarantees prompt and top-notch services, we also offer incomparable professionalism. We know and respect the utmost value you give to your home so rest assured that we will perform our jobs in the most efficient way and leave your home clean, safe, and in excellent condition once we are done. You can also expect to receive the highest quality of service no matter how big or small the task is. Wide Plumbing Services prides itself in the stellar performance of its staff, from the customer service representatives who talk to you on the phone to the highly skilled plumbers who go to your home and deal with your plumbing concerns. You can rely on Wide Plumbing to always put you first!